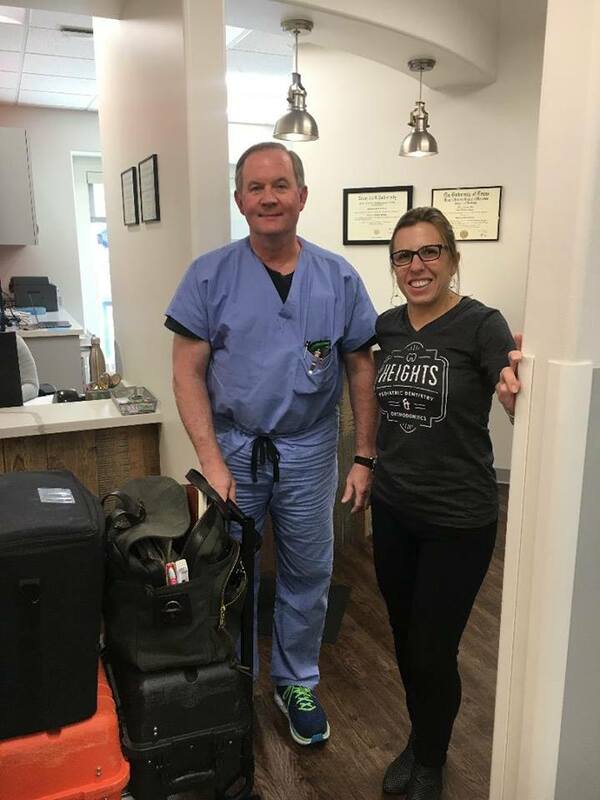 At Heights Pediatric Dentistry and Orthodontics you get the convenience of having both dental and ortho in the same facility. This benefits families in many ways and saves parents time booking two different doctors for their child. The practice caters to kids, but also includes adults and people with special needs. We look forward to perfecting your smile today! By the age of three your child will come for his or her NEW PATIENT VISIT. It is our goal to make this and every visit to the dentist enjoyable and positive for your child. We will use a “show and tell” technique to allow your child to see, touch, play with, and understand every object he or she will come in contact with during this visit. We use age appropriate language that will help your child grasp dental ideas. During this appointment, a thorough dental exam will be performed along with x-rays, a dental cleaning and fluoride treatment. You will receive home care instructions for your child and you as well as diet counseling. We invite you to be a part of this first appointment and all the future appointments. Your child’s first visit to a dentist is an important one and we promise to make it an awesome experience! We are excited to meet you and your child at this initial appointment. Our goal is to build a steady relationship that will last for years in a comfortable and trusting environment that will promote good oral health and habits. Parents are an integral part of all appointments. Your participation in preparing your child for the first dental visit is crucial. We suggest that you refrain from using words around your child that might cause unnecessary fear or anxiety, such as needle, shot, pull, drill or hurt. Our office makes a practice of using "Friendly" words that convey the same message, but are pleasant and non-frightening to your child. If you are anxious about the dentist, please don’t convey this to your child. We want your child to develop a positive opinion of the dentist. Please be aware that during the first appointment, treatment such as fillings or extractions will not be done unless it is an emergency situation. We use this first visit to get to know your child, to gain his or her confidence in us, to assess your child’s dental needs, and to evaluate behavior to determine the best approach to take in any necessary treatments. As recommended by the American Academy of Pediatric Dentistry, your child should visit the dentist by his or her first birthday. This early visit is what we refer to as a WELL BABY VISIT. 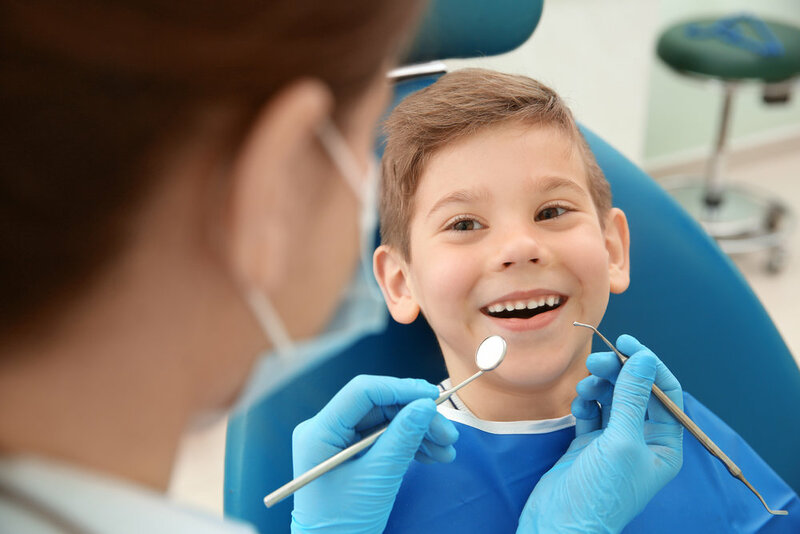 At this appointment parents receive valuable information on how to take care of their children’s teeth, how to keep them healthy and cavity free, and how to assess healthy dental development. 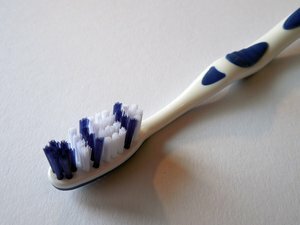 Your child will have his or her first oral exam and the parents will learn proper tooth-brushing techniques. Our office offers both conscious oral and IV (intravenous) sedation options for anxious patients who have dental decay. All our doctors and staff are highly trained in sedation protocols and emergency procedures. Oral sedation is administered in our office by Dr. Lindhorst and patient is awake although lightly sedated during treatment. Patients are awake at the end of treatment but cannot go to school that day as it takes few hours for the medicine to completely clear the body. IV sedation is administered by our anesthesiologist, Dr. Ballard, and patients are asleep for all dental treatment. Patients are alert and aware leaving the office but cannot go back to school that day. Both options are available for our patients when needed. Please talk to the doctors about your child’s needs for comfortable dental appointment. The dental visit will start with an initial assessment to get a feel for your child’s specific needs. We will set customized goals at each visit that may be as small as laying in the chair or as large as completing the entire appointment. We welcome parent’s participation, but at times we may feel we need one on one focused attention with your child. To help achieve a positive outcome we recommend morning appointments when your child is fresh and awake as well as non-busy times of the year when the office tends to be quieter and less distracting. It might take multiple take multiple visits to complete a dental exam, cleaning and x-rays. To successfully complete their dental appointments, and to help gain your child’s trust we ask for your commitment of time. We do not charge for each visit, only for procedures completed and we work closely with parents to achieve success. For more information please call our office. Two-phase orthodontic treatment is a very specialized process that encompasses jaw and facial changes and tooth straightening. The major advantage of two-phase treatment is to maximize the opportunity to accomplish the ideal healthy, functional, aesthetic and comfortable result that will remain stable. In some cases interceptive treatment prevents adult tooth extractions or major jaw surgery. Interceptive orthodontic care is one of the most rewarding treatment options that we offer to our patients. Interceptive care is exactly that, intercepting a problem before it gets out of hand. Treatment occurs at a younger age than conventional orthodontic care and is not typically as long. The idea is to shift teeth, manipulate growth, create space for unerupted teeth, break habits and prevent trauma before it is too late. Children between the ages of 7 and 10 are best suited for this sort of treatment. They are flexible, compliant and their growth potential is still at a maximum. Treatment usually lasts 4 to 12 months after which the child is monitored and the decision as to the need for a second phase is made. Most children will require a second, more comprehensive, phase of treatment in order to create a completely stable, functional and aesthetic occlusion. Second phase treatment begins once most of the adult teeth have erupted. This phase usually requires 12 months with braces on all of the teeth. After the second phase of treatment retainers will be worn in order to hold the teeth in the correct position. Orthodontic treatment is about a change for the better, no matter what your age. It can provide you with the confidence and pride that comes from a beautiful, healthy smile. As we grow older, our teeth tend to grow inward, creating crowding - a common problem for many teens and adults. As a result, it may be difficult to keep teeth clean and healthy. Straightening your teeth can help you maintain your dental health. New technologies have opened up a whole new world for adults who thought that they were no longer candidates for orthodontic treatment. The Invisalign technology, for example, has made it convenient for adults to undergo orthodontic treatment that is nearly invisible and can fit very well into any active and/or public lifestyle. And, our Clear Braces look fantastic while giving you a functional and beautiful smile. Orthodontic treatment can definitely make a difference for adults of all ages. If you have always wanted a beautiful, healthy smile but thought it was too late…it's never too late! Invisalign treatment is a technique that straightens your teeth without braces, using a series of clear, removable aligners that are custom-modeled to fit your teeth. The virtually invisible aligners gradually reposition your teeth into a smile of which you will be proud. Unlike traditional braces, Invisalign has no metal bands or wires to trap food and plaque. Maintaining a good oral hygiene program will also reduce chances of plaque buildup, tooth decay and periodontal disease. Effective for a wide range of smiles. The Invisalign system has been successful in giving hundreds of thousands of amazing smiles to both teens and adults. Dr. Darsey is a Premier Preferred Invisalign Provider and will create your individual treatment plan using Invisalign´s clear, custom-molded aligners to solve a range of issues, including: Overly crowded teeth, Widely spaced teeth, Overbites, Underbites, and Crossbites. Not everyone is a candidate for the Invisalign aligner system. Please contact our office to schedule a consultation with Dr. Darsey to see if the Invisalign system is right for you.